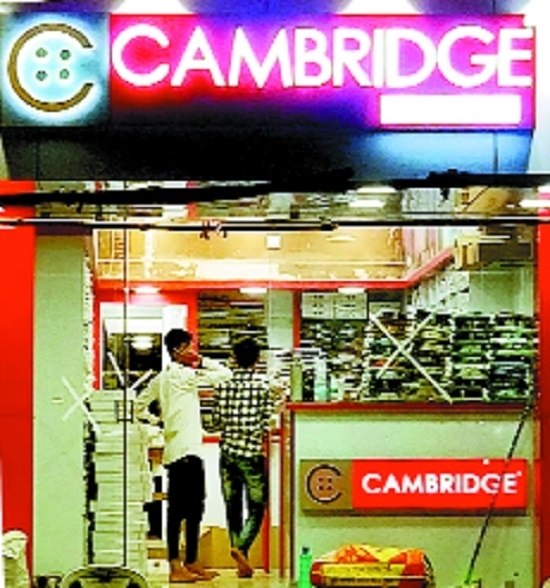 CAMBRIDGE Menswear, one of the reputed names since 1960 from Mumbai has own the hearts of people of Maharashtra. The brand known for latest fashion and style has opened its branch at Manish Nagar T-point under the name Krishna Garments. The showroom was inaugurated by Prashant Bhatia, Cambridge Marketing Head in the presence of Akai Patel and other dignitaries. Krishna Garments has also launched many inaugural offers. Executive shirt of price Rs 550 to Rs 575 is available at Rs 299. Gold trousers ranging in the price tag of Rs 799 to Rs 849 is available at Rs 499. Casual cotton shirt ranging in the price bracket of Rs 799 to Rs 1099 is available at Rs 699. Cotton structure trouser ranging in the price bracket of Rs 899 and Rs 1099 is available at Rs 799, basic jeans is also available at Rs 799. Fashion jeans choice of youth ranging in the price bracket of Rs 1,299 and Rs 1,499 is available at Rs 999, informs a press release issued here. Apart from this offer, 20 per cent discount on other products is also given. Krishna Garments is showcasing a wide range of collection. Matching to the personality of man, without much burden on his pocket is the specialty of Cambridge. Cambridge has built the trust for itself as the choice of every man. Cambridge has maintained its legacy of quality garments since inception. Interested may visit Krishna Garments at Manish Nagar, T-point. Cambridge Menswear at Manish Nagar will meet the requirements of people residing at Manish Nagar and adjoining areas. Manish Nagar is one of the fastest developing areas of the city. The new showroom will cater to requirements of garments in menswear.